The host was so welcoming and accommodating. 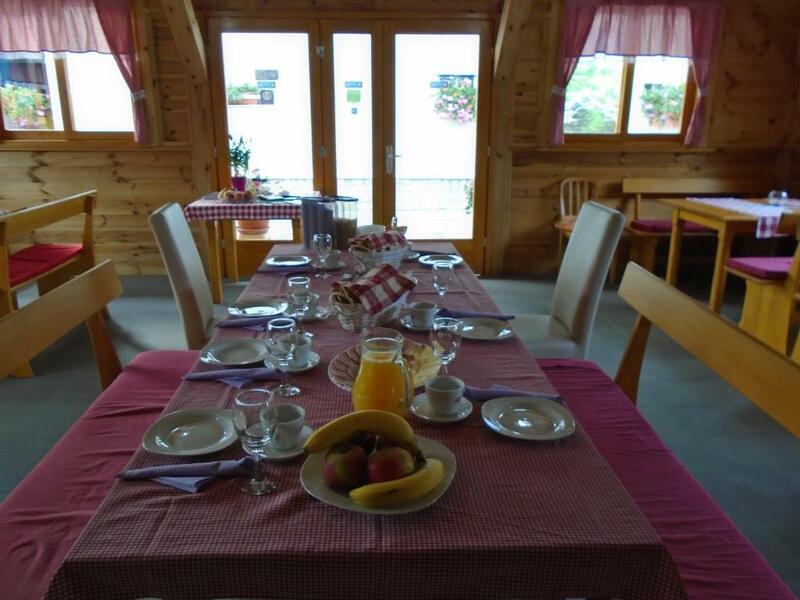 We were really well looked after, the host cooked dinner for us in the restaurant, and made us breakfast at 7am as we wanted to leave early for the Plitvice Lakes. She also gave us fantastic tips on the best route to take around the National Park, and we really enjoyed it. The apartment was so cosy and was set in the beautiful mountains. Amazing experience, only wished we could have stayed longer! Ivona and Matteo took great care of us! Host was very sweet, breakfast was good and plentiful, beautiful back patio and room and very close to Plitvice. Lovely host!! So kind and helpful. Really enjoyed our stay. Loved the location to the lakes we visited in Croatia. They cooked us breakfast each morning. It was great for our family and they were wonderful hosts. Friendly and helpful Ivona! She gave superb detailed information on how I (and my 80-year-old mom) can best explore Plitvice without subjecting my mom to excessive strain. The room was clean with one double bed and three single beds, the bathroom was functional and spacious and the location was excellent being just a 10-minute drive away from Entrance 1 (Lower Lakes). Google Maps found the place without any problems. Great stay. We loved the cabin and the host was amazing. She cooked for us for our entire stay and was very helpful planning our events for each day. Perfect for families with kids. My kids loved there stay and are already talking about a return trip. Cannot say enough good things about our stay! Helpful owner who also cooked excellent breakfast. It was cold at night so didn’t make much use of restaurant. The meal we did have was good. I would expect good home cooked food in main season. Lovely studio apartment with a balcony. Great location if you have a car. Lock in a great price for Apartments Zafran – rated 9.1 by recent guests! Apartments Zafran This rating is a reflection of how the property compares to the industry standard when it comes to price, facilities and services available. It's based on a self-evaluation by the property. Use this rating to help choose your stay! One of our top picks in Smoljanac.Set in a quiet area, Apartments Zafran offers accommodations units with a balcony. It is surrounded by a garden with a large terrace and BBQ facilities. The Plitvice Lakes National Park is 3.1 mi from the apartment house. Every unit is air-conditioned and comes with a fully equipped kitchenette, cable TV and a bathroom with a shower or a tub. A safe deposit box can be used by all guests. Apartments Zafran provides shuttle services. A breakfast can be requested and is served on the terrace during summer. A supermarket is just 50 feet away. Zafran Apartments offers an on-site restaurant that serves a wide variety of local dishes for lunch and dinner. The ski area in Mukinje can be reached within a 5-minute drive. The Korana River is 0.6 mi from Apartments Zafran. Free private parking is available on site. 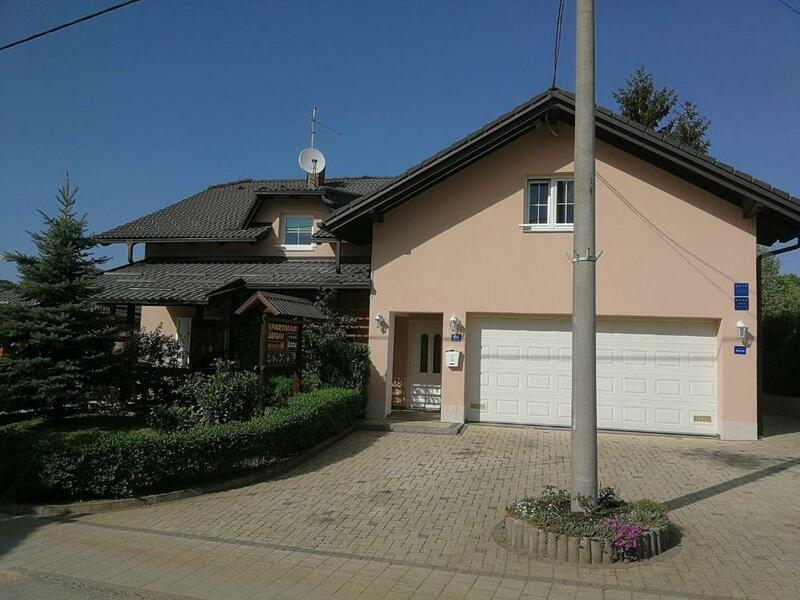 This property is also rated for the best value in Smoljanac! Guests are getting more for their money when compared to other properties in this city. When would you like to stay at Apartments Zafran? Air-conditioned apartment with a kitchenette, a bedroom with 1 double bed and 1 single bed and a living room with 2 single beds. The unit features cable TV, a balcony with garden views and a bathroom with a tub. Air-conditioned studio with a kitchenette, cable TV, a balcony with garden views and a bathroom with a shower. Air-conditioned studio with a kitchenette, a flat-screen cable TV, a balcony with garden views and a bathroom with a shower. 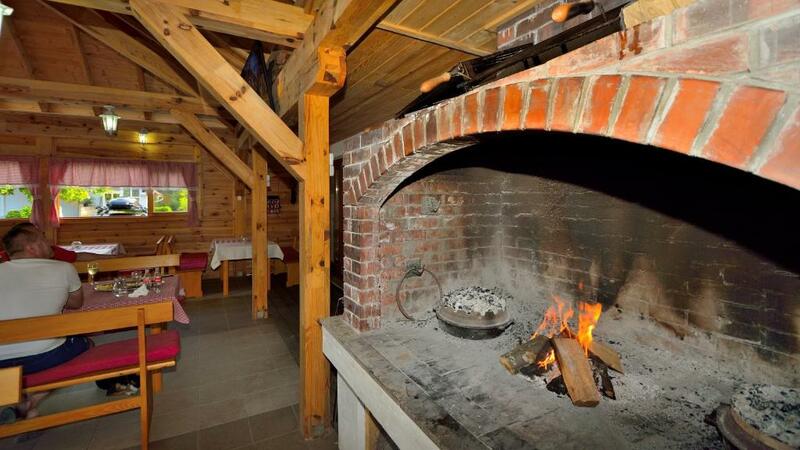 This bungalow is made of woods and it is fully equipped. 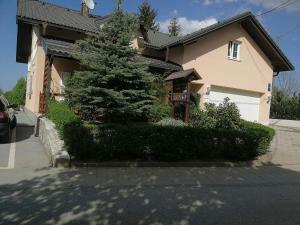 It is surrounded by a garden and has a furnished terrace. 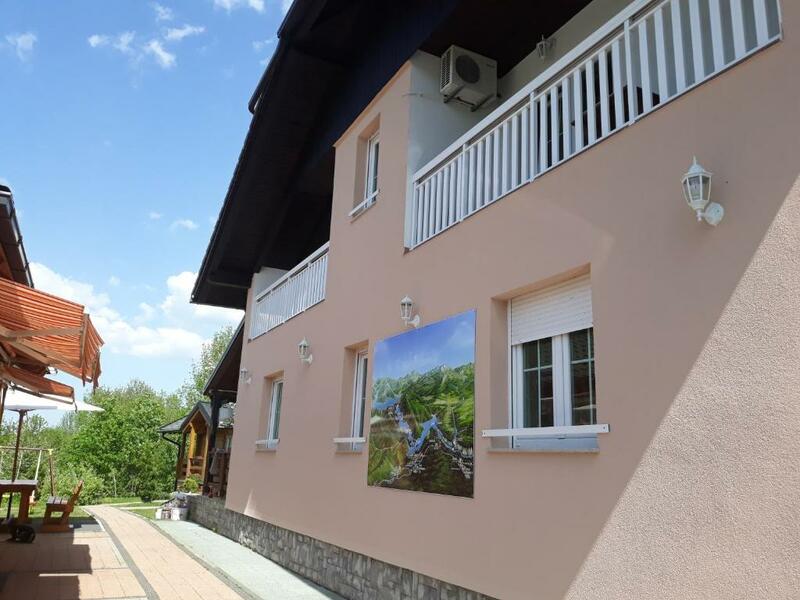 The guest house is located in a small quiet village Smoljanac which is only 10 minutes from the entrance to Plitvice Lakes National Park ! The neighbors are friendly and have a yard with domestic animals ! House Rules Apartments Zafran takes special requests – add in the next step! Very basic kitchen utensils. Great shower pressure but we had an issue with the hot water on a couple of occasions. A very quiet and beautiful place. The family that run the apartments is charming. The mother give us a lot of usesfull information and tips about the park. VERY IMPORTANT! The place has a restaurant in the facilities. The mother is the cook and the sons the waiters. Is all Croatian typical food and was delicious (i had the fish). 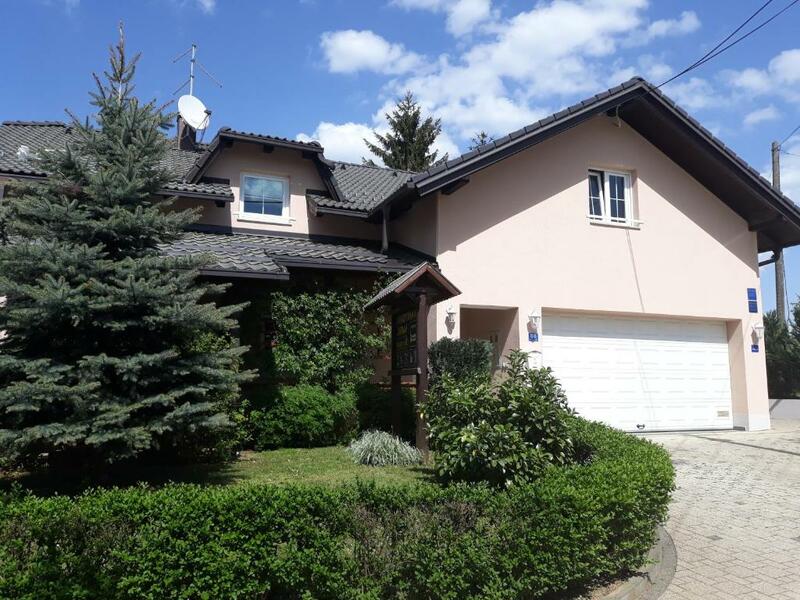 Beautiful chalet-style home in rural location. Pizza restaurant attached, which was welcome after a day at Plitvice. Paying with credit card instead of cash would help. Owners are very nice and helpful. The place is clean and quiet, and having a restaurant in the hotel was a great option when we checked out tired in the evening. We stayed in a one bedroom apartment, but it was great for us (a couple and 3 children). And the location is superb, few minutes from the park entrance. is is a modern wooden-house, with good layout, design and comfortable furniture. It is equipped with air condition. own clean bathroom. The landlady is very kindly and helpful. She provides useful advice for trip in Plitvice lakes. Good location to visit plitvice lakes which are amazing. Lovely property well located to visit the national park. Host very friendly and helpful. Dinner at their restaurant was good. Would recommend the fish and the meat platter. 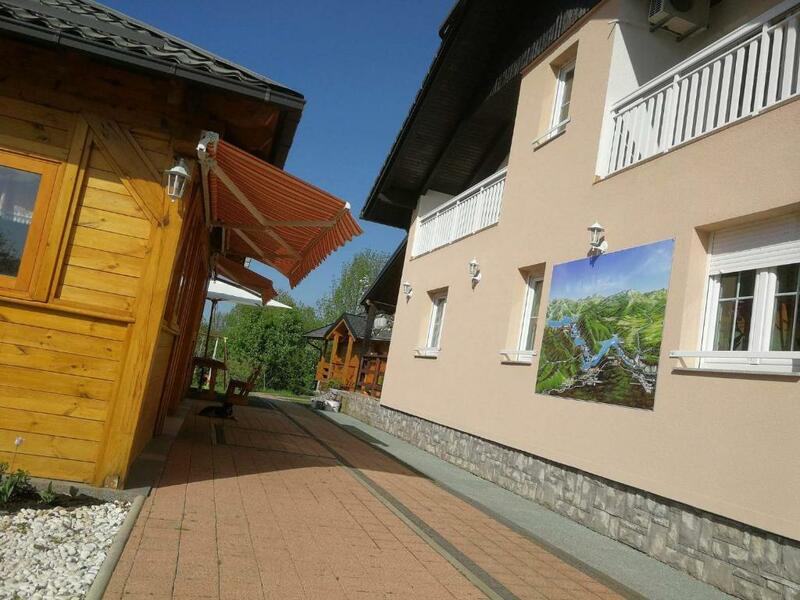 Nice location for the Plitvice lakes, comfortable bed, friendly owners. Very nice place and helpful hosts. Nice solution to stay there for one night before going to the lakes. I recommend.